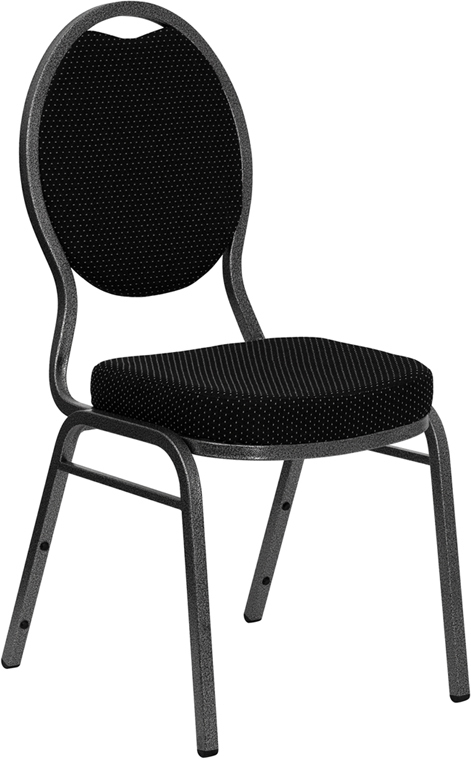 These chairs have a black patterned fabric with a textured frame. The textured silver frame compliments the silver in the fabric pattern. These chairs look very nice in rooms with a white decor. Seat to Top Of Back 20.5"